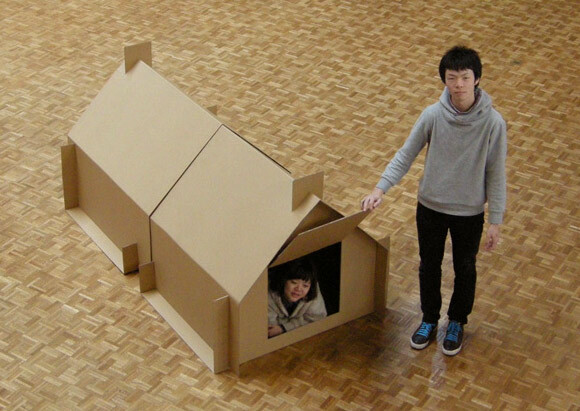 Temporally small house: for people who take refuge in a gymnasium. Temporally small bedroom that allow us private and warm space. Creative Commons 表示 – 非営利 2.1 日本 License. These drawings are opened in public with Creative Commons licenses. We can make 300 sets in 1,000,000 Yen. This project is sponsored by Alumni association of Architecture course, Kogakuin University. 1. Materials. 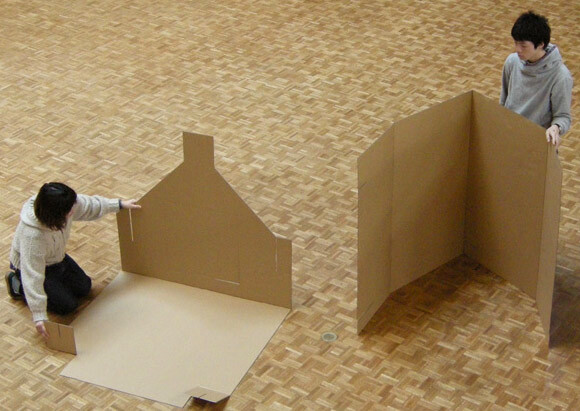 Cardboard sheets: 2sizes 2sets. 2. Fold each part. 3. Combine each set. 4. Half part is finished. 5. 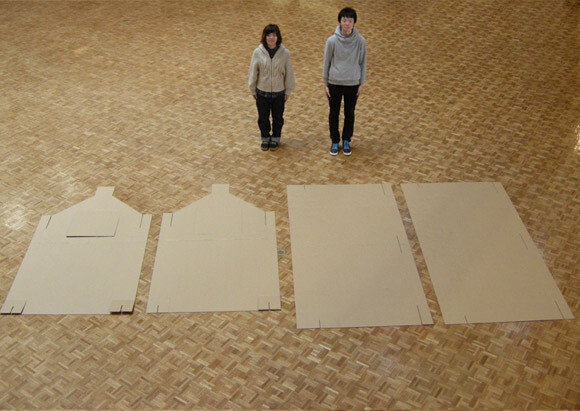 Combine each set of cardboard houses. 6. Bed room is completed. Cardboard thickness is 5 mm. In case of using another thickness, please modify inset sizes. Please visit Kogakuin University in Shinjyuku, Tokyo, Japan. To media reports: Please contact us in advance. パリ展レポート「3.11―東日本大震災の直後、建築家はどう対応したか」,Paris Exhibition, How Did Architects Respond Immediately after 3/11? 11 Responses to " ダンボールシェルター1, Cardboard Shelter1 "